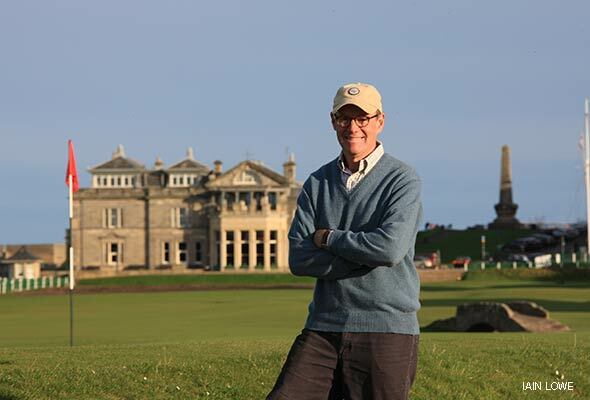 They have a saying over here: “There’s the Open Championship, there’s the Open Championship in Scotland, and there’s the Open Championship at St. Andrews.” My limited experience tells me they’re right—when it comes to producing dramatic, memorable events, there’s no course like the Old Course. St. Andrews is about to host its 27th British Open. I’ve been fortunate enough to see the last five of them, and each has left a vivid impression. In 2000 there was the bravura of Tiger Woods, his eight-stroke victory making him the fifth player to win each of the four majors; in 1995, John Daly displayed finesse as much as power, winning in a playoff after Costantino Rocca tied him with a mind-boggling, knee-buckling, green-slapping putt from the Valley of Sin; 1990 brought us four days of Nick Faldo at the peak of his fastidious form; and then there was Seve Ballesteros, pumping his fist in unbridled glee on the final green in 1984. But, for me at least, the best Open remains the first one I saw, in 1978. It was in fact the first tournament of any kind I’d seen outside the United States, and in British parlance, I was gobsmacked—bowled over—by the humpy, fast-running linksland, the inscrutable winds, the mammoth scoreboards, the courteous and canny galleries, the sprawling exhibition tent, the seafood-and-champagne snackbars, the whole experience. Only two dozen or so Americans were in the field, because in those days, if you didn’t finish among the top ten, you didn’t cover the week’s expenses (which in most cases included an extended visit by the wife to the Pringle exhibit where players could purchase cashmeres at 40 percent off). However, the big boys were all there—Palmer, Nicklaus, Trevino, Watson, Miller, Weiskopf, Floyd, Irwin, Kite, Crenshaw—and among them there was a nationalistic camaraderie that extended to other Americans on site. 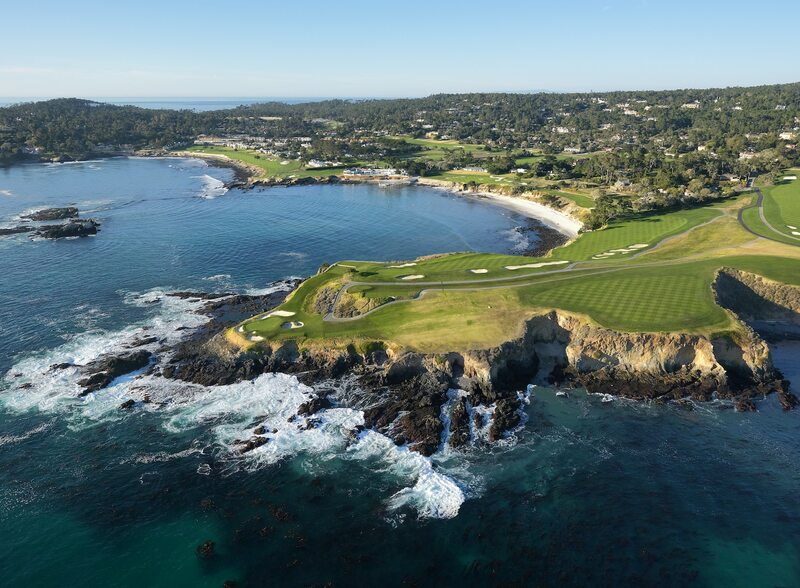 As one of the few U.S. scribes in attendance, I took full advantage, insinuating myself for coffee with the Floyds, cocktails with the Kites and dinner with the Crenshaws, and chatting up every other major player from 21-year-old Seve Ballesteros to 71-year-old Sir Henry Cotton. Forrest Gump would have been proud. The big story coming into the week was Nicklaus. He’d won the previous Open at St. Andrews, in 1970, and that victory had launched him into the most productive period of his career—39 wins around the world, including a U.S. Open, two Masters, and three PGA Championships. But his performance in the British Open during those years had brought only frustration—three seconds, two thirds, a fourth, and a fifth—with the hardest loss coming the year previous at Turnberry where he’d birdied the 72nd hole to break the championship record with a score of 269 only to lose to Tom Watson who birdied on top of him for a one-stroke victory. Jack wanted desperately to win one more British Open, as it would make him the first player to win each of the Grand Slam events at least three times. But at age 38 he knew his chances were running out. I followed him for much of the first two rounds. He’d been looking more sartorially snappy than usual, sporting a week-long series of argyle v-neck sweaters. (The same sweaters had been made available to mere mortals in the exhibition tent and had quickly sold out.) More important, he was striking the ball smartly through the moderate but mercurial winds. In fact, had his putting been up to his standards, I suspect he would have been two or three strokes in the lead at the halfway mark, but instead he found himself at 143, four strokes behind Ballesteros, Crenshaw, and Isao Aoki. On day three the wind got a bit stronger and so did Jack, with a 69 that took him within one of the top. Defending champion Watson was now in the lead along with Peter Oosterhuis, then the best player in Europe, while Jack was joined by Aoki, Crenshaw, and the all but unknown Simon Owen, an on-site qualifier from New Zealand who had vaulted up the leaderboard with the day’s best score, a 67. The next day Owen would be paired with Jack, just ahead of the two leaders. Floyd’s extra reconnaissance paid off in that last round with a 68 that jumped him into a share of second place along with the two wind-savvy Texans, Kite and Crenshaw. Journalistic objectivity be damned, I was pulling for Crenshaw and was thrilled to watch him sink a pair of long putts for birdies on 17 and 18, after which I horned my way into a prime position on the broad steps just to the left of the 18th green, to watch the final couple of groups finish. By that time, it had become a two-man battle. Watson, Oosterhuis, and Aoki all had faltered, while Nicklaus, managing the headwinds brilliantly, had taken a two-stroke lead into the last nine. 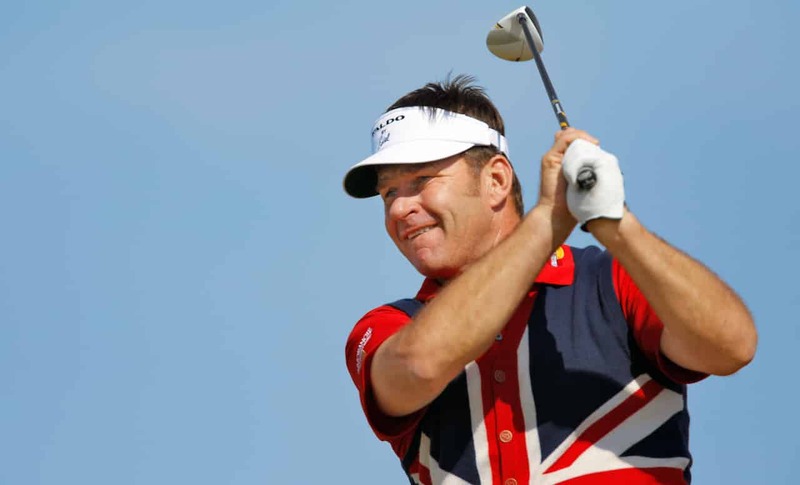 It was then, however, that the improbable Simon Owen had mounted a charge, with five birdies in seven holes—the last of them coming on an 80-foot chip shot at the 15th—to wrest the lead away. Jack, for all his experience, was suddenly in an unaccustomed position. He’d won the majority of his 14 major championships by building a lead and then holding on in the stretch. This time he would have to bear down and come from behind, and that’s exactly what he did, with a 9-iron to seven feet for birdie at 16 followed by a rock solid par at 17, as Owen stumbled to a pair of bogeys. With one hole to go, Nicklaus had a two-stroke lead that would become his margin of victory. When their scores at 17 went up on the big board near the 18th green, a thunderous roar exploded from the crowd. At about that time, Kite and Crenshaw appeared, joining me and few other press guys on the steps. “Boy, this is something else,” said Kite, taking in the scene that surrounded us. “There is just nothing like this experience.” Crenshaw nodded reverently. The two of them, friends and rivals since high school, began comparing notes on their rounds, on how the course had played that day, and how they would be coming back to the Open for as long as they could qualify. I just listened, occasionally pinching myself. Then, their words became inaudible. Striding purposefully up the 18th fairway, a vision in navy-and-white argyle, was Nicklaus, his shaggy blond locks blowing and glowing in the Scottish sunshine. With each of his paces, the ovation grew louder and deeper, a swelling roar of affection and acclamation. They stood six deep in the road alongside the fairway, they stood in the grandstands, they stood on stone walls and balconies and rooftops, leaned from hotel windows and store windows—men, women, and children of every age, shape, and size, cheering with a passion perhaps only the Scots can truly know. When at one point, Jack raised his putter in gratitude and the crowd responded, tears began to form in my eyes. Blinking them back, I glanced at Crenshaw next to me, hoping he hadn’t noticed, and saw that he was in the same state. We all were. Thirty thousand people had assembled on that final hole, and each of us had just witnessed something special: the game’s finest player winning the game’s oldest championship on the game’s most legendary course. Jack will be back again this year, and when he walks up the last hole for the last time he will surely receive another emotional ovation. After that he’ll exit the championship stage forever. The Open will of course continue to return to St. Andrews, and new heroes will be crowned. But no matter what any future titan of the game may accomplish, in my mind there will never be a moment to match Jack Nicklaus, the 72nd hole, 1978.